The prices for staple food grains wheat and rice have increased in Afghanistan amid conflict between government forces and the Taliban. 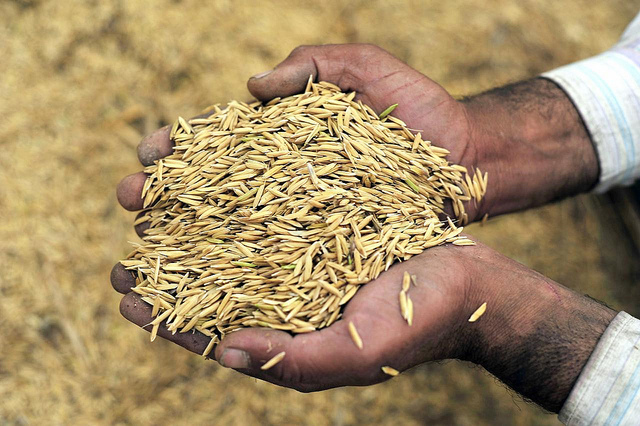 Rice fetched 120 afghani per kg this year, compared to 80 afghani at the same time last year. Wheat prices also grew in the period from 20 afghani to 30 afghani per kg, as reported by news agency IRIN news. One of the prime reasons in the price rise seems to be the increase in aggression in the Kunduz Province which is the key contributor to the country’s agricultural produce. The farmers in the area have been forced to leave their fields that have morphed into a battleground between the two sides. While the crops of the October-November season have been sown, some even ready for harvest, the fields are being burnt down and lined with explosives, making them inaccessible to the farmers. The agriculture driven economy of the region has also collapsed as most farmers, farm labourers and others involved in the process are left jobless. The report also highlights that majority of the food insecure people have exhausted their means to cope with shock or emergencies by selling their land and other assets with double the number (as compared to previous year) resorting to begging. The households headed by women and the landless are the most vulnerable to food insecurity, as per the report.